Do you need to make peace with your past? Are you struggling with feelings of sadness, depression, anxiety or panic? Are these challenges affecting important relationships? If so you are not alone! Most people feel overwhelmed by one these concerns at times. 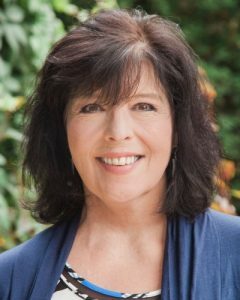 After twenty-four years of full-time experience as a counselor and psychotherapist, I have a wealth of skills, knowledge and experience to help you reach your goals. But it is the relationship between us that will make it safe to put those assets into motion toward positive change. Although counseling therapy may sometimes challenge you, the relationship between us should be the easy part. It’s important that I “feel” right to you, that I’m someone with whom you share a warm, positive connection, and that I understand and empathize with you and your challenges. Trying to make the wrong counselor “fit” feels kind of like wearing the wrong-sized clothes. It just feels kind of squirmy and uncomfortable. Though the boundaries and “rules” of a therapist-client relationship are much stricter and more clearly defined than a friendship, our relationship should nevertheless feel friendly and safe to you. If we don’t think I’m the right fit for you, then I will work to help you find a counselor who is. Although I have extensive experience as a counselor/psychotherapist, I view each new client as a unique individual with his or her own specific personality, perspectives and challenges. That is the “art” of counseling: customizing my experience, knowledge and expertise to help you–as an individual, couple or family–with your specific needs and challenges. I offer helpful, down-to-earth, practical solutions for the challenges you face in a way that helps you take them in and use them–so that you can renew your faith in yourself, your relationships and your life. I am often told that I am able to get to the heart of the matter quickly, effectively and compassionately–that I help make it safe to change. Clients also tell me that they are grateful that I am willing to go the depth and distance they need in order to affect real change. I will, however, also tell you if I think you need something different from what I offer. I consider it part of good life counseling to know when it is in your best interests for me to refer you to someone who can serve your needs differently than I can. Over the years, I have developed relationships with wonderful therapists who have areas of expertise different from mine so that I can be confident that I am sending you to someone skilled, competent and caring. The journey starts with the first step. Psychotherapy helps. According to Dr. Robert Rosenthal of Harvard University, clients receiving psychotherapy are better off than 79% of people who don’t try. Over 3000 studies confirm these results. My specialized training in relationship healing, means you’ll get results more quickly. Clients say my warmth and caring puts them at ease. Together we work with your challenges with compassion and insight. You’ll develop confidence to try new things and pursue goals that are important to you. If you have Family Care Health Insurance with the Oregon Health Plan, you’ll be delighted to know that once authorized, you’ll be able to see me with no copay. Many clients tell me they wish they had come in sooner and that coming to counseling was much easier and more helpful than they thought possible. Maybe it’s because, after 27 years of being a therapist, my passion about my work has only grown. Counseling therapy can take many forms, and I believe in using tools and approaches that fit your specific, individual needs. Because no matter what tools and techniques we use, research shows that the relationship between the client and the counselor is the most important element in helping you make the changes you want and need to make. “Thanks for being honest with me.